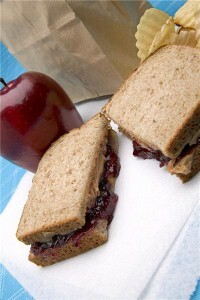 You might dismiss the whole idea of packed lunches, telling yourself that your child's school offers plenty of options. However, you might be surprised to find out that many schools simply don't provide the nutrients our children need on a daily basis – unless your little one pays at least five dollars a day for additional food items. Besides, the school vegetables and fruits are often packaged for long periods of time, which depletes their nutritional value. When packing your child's lunch, he might be tugging your arm to include Oreos and other tasty – but unhealthy – delights. However, you should instill wise eating habits at a young age in order to allow his body to grow properly. Include a nice variety of healthy choices in the brown bag or lunchbox, such as the following. Fruits. Instead of including sugary items, which give children way more energy than they need, resort to the natural sugar that fruits provide. A cookie every now and then might not be so bad – but don't go beyond that. The last thing you want is an obesity problem on your hands. A high intake of sugar will convert to fat. Calcium. Milk, cheese and other dairy products are essential for bone development. Children require a lot more calcium than we do for growth, so make sure they have a carton of milk or a nice, cheesy sandwich. Iron. A hefty turkey sandwich goes a long way, as iron serves to keep the red blood cells healthy and effective. If you have a child who prefers to avoid meats, remember that there are plenty of vegan options out there, like beans and soy burgers.